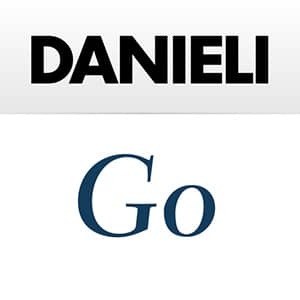 Danieli history begins in 1914 in Brescia, where Timo Danieli and the Angelini family are shareholders in a steelmaking plant, anchored by the first electric furnace in Italy, developed by the American company Lectromelt. The social and economic turmoil of the post-war period force the steelmaking plant to close, prompting the entrepreneurs to move first to Milan to work in the tool machine sector (Timo Danieli and his brother Mario start over with Danieli Vaj) and then to Buttrio, Friuli in 1929. There, the family of Mario’s wife owned some land, and this became the first hub of the future group, which manufactures simple equipment for hand tools and farming, subsequently embarking on the manufacture of steelmaking machinery. In the 1950s, Mario’s son Luigi Danieli, while at Safau in Udine, outside of Danieli, after his work experience at OM in Brescia, and then with the Techint Group in Argentina, began to study steelmaking machines that could compete with machinery manufactured by the German firms that dominated that sector of the market. 2. The first trademark of Acciaierie Angelini Brescia (1914). During that time Luigi, began to take an interest in production and investments at Safau, and he discovers that there is a technological gap between Italy and the industries he visits in Europe, particularly in Austria and Germany. Luigi, however, is particularly struck by a visit he makes to the Morgårdshammar plant in Sweden, a highly innovative company and a foremost developer of technologies for rolling mills for long products in quality steels. On the strength of this experience, Luigi suggested that Safau should replace a cooling bed with a machine manufactured in-house, simpler and less costly than what the Germans were offering. 1. Danieli 1914: Pioneering experiences with electric steelmaking at the dawn of the minimill concept.